CT Cloud Unite is a client-only solution, specifically designed for CallTower’s hosted Cloud Voice platform and is easy to install, configure and upgrade. Click-to-dial: A comprehensive range of click-to-dial techniques is standard with CT Cloud Unite, enabling significant time savings within your favorite applications. You can even train it to work with applications we know nothing about. Contact Popping: If a caller is located in an integrated application, you will see full contact information details quickly “pop-up” on screen. Caller Preview: Caller Preview is enabled for both inbound and outbound calls, if a match for the caller is located within the integrated directories the caller’s summary details are displayed on screen. This allows the you to see full details before you answer the call. Activity Logging: Record activity in business applications for all inbound and outbound calls. This feature is currently available within a limited business applications. Address Book: Details of a new caller can be easily saved in your personal directory. Integrated applications can be searched and dialed from the results. Recent and History Lists: Easily view a list of your most recent inbound and outbound calls, and/or view a more comprehensive call history list. Any telephone number in these lists can be redialed with a single click. Note Taking: Quickly and easily add call notes to the business system. 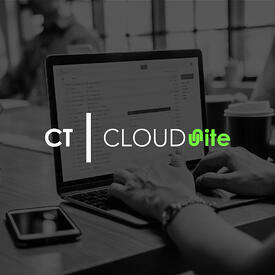 Licensing: CT Cloud Unite comes in two license versions: “Express” and “CRM”. Both versions offer the same click-to-dial functions, call history, and contact searching with pop-up integration with Microsoft Outlook, Lotus/IBM Notes and Google Contacts. The CRM version offers the same contact searching with information pop-up integration into additional business applications and systems.